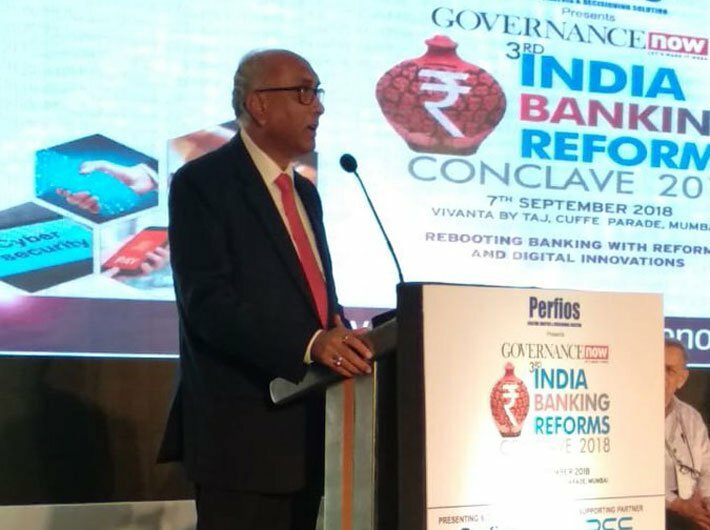 Recalling his thoughts at the Governance Now 1st India Banking Conclave in 2016, when former Reserve Bank of India deputy governor, SS Mundra had said banking sector reform is a journey and not destination and later at the second edition of the conclave in 2017 he had emphasised on appreciating the prescriptive with which reforms are initiated, Mundra has asserted that it was important to adopt the framework set by Nair Committee Report for banking sector reforms and unless that happens it would be futile to talk about small measures in the nature of band aids. “We are now past that stage. It could take five to ten or may be 15 years with clear, articulated road map with commitments for its implementation,” he said. Mundra was giving his special address at the Governance Now 3rd India Banking Reforms Conclave: Rebooting Banking with Reforms and Digital in Mumbai on Friday. The former RBI DG suggested three steps to implement the blueprint. In the first step, he said the government ownership in individual banks could be transferred to a holding company. In the second suggestion he said the holding company may reduce its majority stake in individual banks. Mundra said the government also ceases to be majority owner of a holding company itself in the third stage. He also said the tenure of the CEO of a public sector bank can be long enough to put in a meaningful performance in place. He added the performance could be reviewed after three years to assess if it can be extended by another two years. He said financial sector is prone to mishaps and a knee jerk reaction disproportionate to problem is not the answer. Referring to recent reports on finance ministry asking all banks CEO’s to examine frauds in all NPA cases above Rs 50 crores, Mundra said it may be fine but holding CEO’s responsible for criminal conspiracy for not being able to detect frauds, if these are detected by an investigating agency subsequently though well-meaning, is stretching it too far. 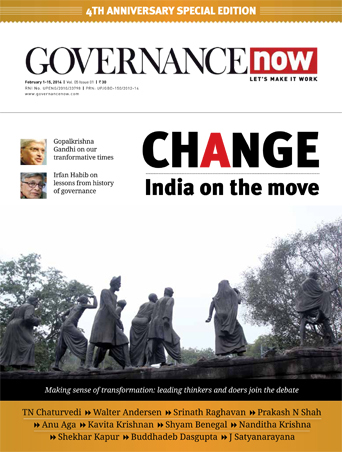 “While it is a good indication that independent directors should not be only satisfied with what is brought to them but they should learn to have the art of seeking the right information and question, holding bank management and board responsible may not be correct,” said Mundra, adding that a strong organisational culture and giving a meaningful ear to voices of middle and lower level staff is equally important. Managing director and CEO, BSE Ashish Kumar Chauhan, asked if a bank exists for society or society exists for banks. He said the world is changing very fast and a bank is a bundle of services provided by an organisation for a variety of reasons. Chauhan said looking forward, lower cost of transactions to provide unbundled services will change how we look at the banking sector. Marathe also said that with more than 65,000 primary agriculture credit society (PACS), these need to be strengthened not only for financial services in rural areas but also cut off areas like the North-East and Andaman and Nicobar Islands. He also called for strengthening educational institutions in rural areas along with having mobile branches with ATM’s and digital banking services. Emphasising on the importance of having regional languages for financial inclusion Marathe said that we need to have video programmes on financial literacy in all regional languages along with Indian languages. “With over 700 districts, services are not up to the expected level. Mobiles are not available. 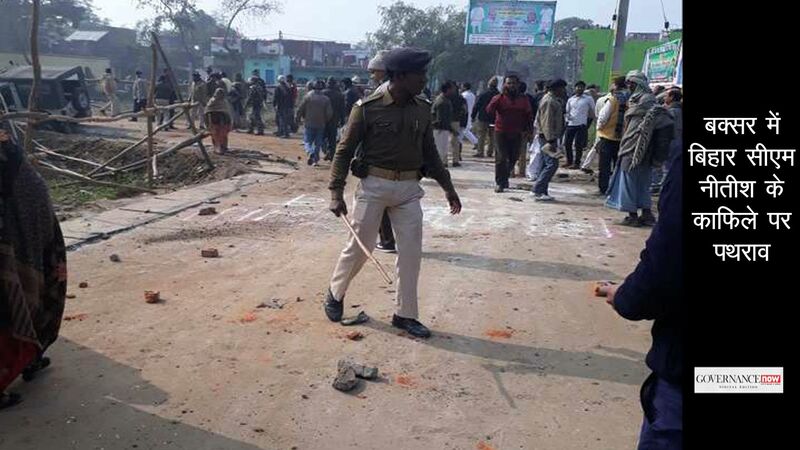 The rural population will have to be encouraged to use smart phones and hand held machines. RBI will be concentrating on rural India and while we have substantial urban poor, use of Indian language is a must for financial inclusion’ he said.